Philomena (2013): A world-weary political journalist picks up the story of a woman's search for her son, who was taken away from her decades ago after she became pregnant and was forced to live in a convent. Taglines: These two unlikely companions are on a journey to find her long lost son. Nominated for 4 Oscars. Another 19 wins & 36 nominations. Poll - Oscar Picks: Most likely Best Picture winner? Poll - Upcoming "based on a true story" film you most want to see? Based on the book, THE LOST CHILD OF PHILOMENA LEE, by journalist Martin Sixsmith, the film is the actual life story of Philomena Lee, who as a young woman in Ireland, was seduced and become pregnant in 1951. Philomena's father, scandalized by his daughter's out of wedlock pregnancy, sends her off to one of the then notorious Magdalene convents where she is forced, along with other young women who are in the same straits as she, to a four year, seven day a week, grueling job in the convent's laundry room. The women are allowed to see and play with their children one hour each day. Philomena's three year old son, Andrew, becomes close friends with Mary, the daughter of one of Philomena's close friends. A wealthy couple from America comes to adopt Mary but because the little girl refuses to separate from Andrew, the couple opt to take both the children for adoption. 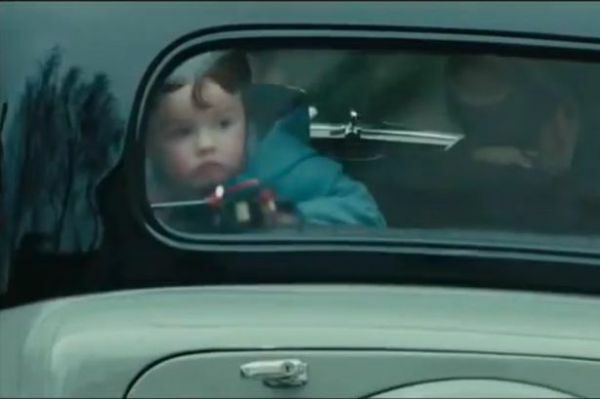 Philomena becomes aware that the nuns are giving Andrew to be taken to America but as she races to the convent gate to late, she sees the couple's car pulling away. She helplessly watches her little boy staring out the back window of the car as it disappears down the road. 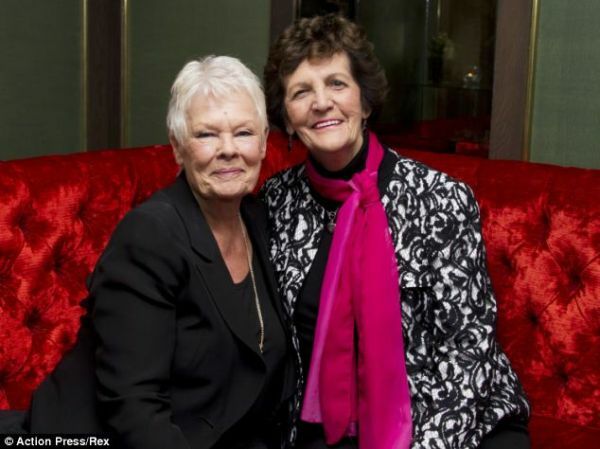 Years pass and the film now shows us Philomena as an elderly woman, now a widow, living in England with her adult daughter. 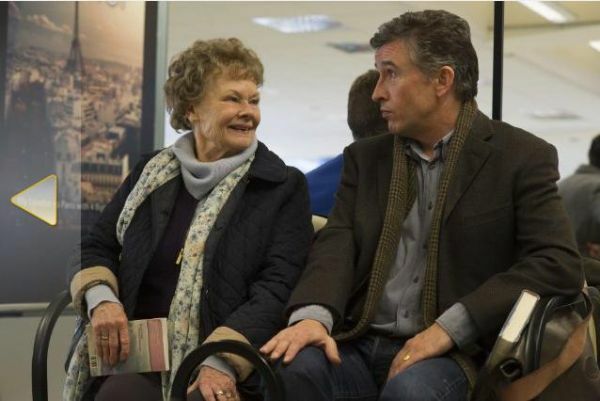 Philomena's daughter meets journalist Martin Sixsmith at a party and asks him to do a human interest story about her mother's tragic loss of her little boy and help Philomena discover what became of Andrew. 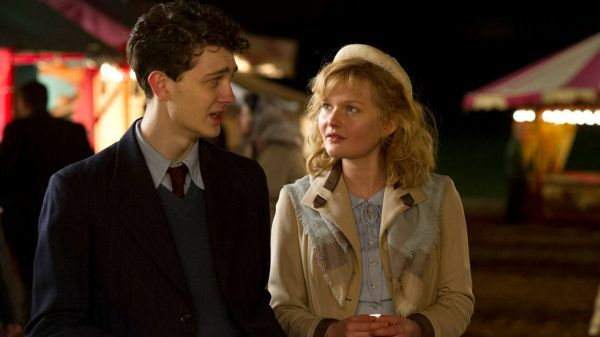 Reluctantly at first, Sixsmith eventually becomes emotionally involved in the sad story and offers to take Philomena to America to find her lost son. Philomena has remained a devout Roman Catholic, forgiving the nuns at the covent, while Sixsmith repeatedly denounces the Catholic Church and all religion, being himself a lapsed Catholic. As the movie moves along, the audience learns how really terribly the nuns treated Philomena and the other "wayward" girls. But in their trip to Washington, Philomena and Sixsmith do come upon leads to Andrew's new identity as an American and his whereabouts. 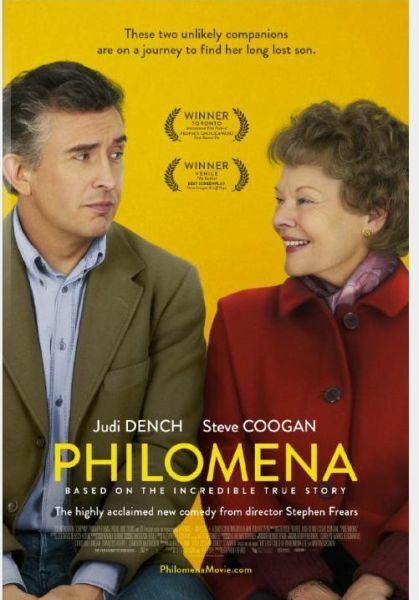 Needless to say, I was very moved by this incredibly awful story and the beautiful and sorrowful portrayal of Philomena by one of my favorites, Lady Judy Dench. I must say a word about how the role of the Roman Catholic Church in this movie affected me. Frankly, had I been Philomena, I would have had nothing but the utmost hatred for a religion which treated me and other defenseless young women with such cruelty while at the same time cynically talking about the love of Jesus Christ. For 1500 years of Christianity's existence, its sole manifestation in the West was Roman Catholicism since it systematically killed off any other expression of the religion about Christ. In an essay on the development of Christianity during its early centuries which I am preparing for publication, I point out that the early martyrs so reveled in their own agonies and torturous deaths that they became insensitive to the suffering of others, especially the suffering that they themselves caused nonChristians in the name of the Loving Christ. And this is why obedience to Catechism became more important to the Church than the misery of followers of the Faith. In Ireland especially, St Patrick must have intorduced such a meanspirited version of his religion that Irish clerics have become notorious for cruelty, especially the vigin sisters in their black robes. Even in this 21st century, the largely Catholic population of Ireland has tended to be averse to divorce. It is more difficult to obtain a divorce in the Republic of Ireland than in other country. A couple must be separated for four years before they can obtain a divorce. Even in this 21st century, abortion in Ireland is illegal unless it occurs as the result of a medical intervention performed to save the life of the mother. A recent law provides for a woman's right to an abortion if her life is at risk, including from suicide but for no other reason. A friend once remarked to me that the reason Catholicism in America is so harsh is that America imported Irish Catholicism. Had we imported Italian or French Catholicism, it might have been a pleasanter faith. In my long life, most of my nonJewish friends have been Catholics, mainly because I come from a major city in America where Italians and Irish, along with Ashkenazic Jews were the dominant ethnos of New York City. I learned to separate my relationships with these friends from the faith of their Church. Personally American Catholics are my favorite Christians, and it's sad to see how many of them have slipped away from their religion due to bad press and bad behavior on the part of its chief representatives. But then, in America, people in general are falling away from organized religion. Philomena Lee still lives in England and is a living testimonial of the strength of the human spirit in the face of the adveristy thrown upon them by those who take on the responsibilty of bringing the flock to the Shepherd. In the end, the ambassadors of Christ have not shown that they follow his example of love and forgiveness. The life of this magnificent, brave woman shows us that Christians, like anyone else, can be bad guys as well as good guys. See the movie. It will inspire you. While visiting the convent, Martin Sixsmith sees an autographed photo of an American actress on the wall and asks if it is Jayne Mansfield (and is told it's actually Jane Russell). A character who appears later in the film, Pete Olsson, is played by Peter Hermann, who is married to Jayne Mansfield's daughter, Mariska Hargitay. The BMW hire car in Ireland has Republic of Ireland registration plates and a Northern Ireland tax disc. Philomena: But what if he died in Vietnam? Or, or came back with no legs? Or lived on the street? Martin Sixsmith: Don't upset yourself. We don't know what we don't know.